One of several teachers interviewed for KILLING ED who worked at a Gülen charter schools, Amy represents the poor treatment of teachers and others who work at these schools throughout America. Her heart-rending descriptions of wage and gender discrimination are similar to the many other educators interviewed who entered the teaching profession through these schools. A former teacher at a Gülen-affiliated charter school in Cleveland, Ohio. After witnessing serious problems at the school, Mary approached the media and outside agencies to seek help. She has appeared on 60 Minutes and local newscasts in an effort to educate the public about the problems of the Gülen Movement’s charter schools in the USA. Mary holds an MBA, a graduate teaching credential in Education, and an undergraduate degree in English. She is licensed to teach in both California and Ohio and is a regular contributing blogger to the website, www.charterschoolwatchdog.com. A respected educator and administrator at districts throughout the USA, Dr. Gilbert experienced first-hand the ‘worst case scenario’ of education reform at a local Gülen-affiliated charter school. 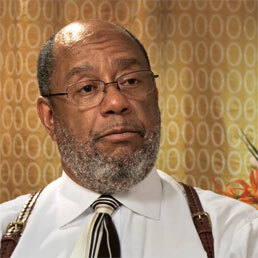 Responsible for charter schools in Baton Rouge, Louisiana, Dr. Gilbert heard numerous complaints from teachers and parents which led him to investigate the numerous troubling problems at the Kenilworth Science and Technology charter school. As Chair of the Senate Education Finance Committee for the State of Texas, Dan was recently elected as Lieutenant Governor. Perhaps the most powerful politician in one of the largest states in America, he is known for his unwavering political and financial support of charter schools in his state. Dan worked in media before entering politics and is a polished national spokesman for the ‘reform’ of public education. Two Turkish journalists who published a book critical of the Gülen Movement in Turkey and paid a high price – over a year in prison for their writings. Never interviewed before in the USA, they explain about the infiltration of the police, judiciary and media in Turkey by followers of Fethullah Gülen and the consequences of those that question the group’s anti-democratic activities. Formerly in the inner circle of the Gülen Movement as it expanded from Turkey into Central Asia after the fall of the Soviet Union, “Serhan” is one of the few people who has extensive knowledge of this secretive Islamist group and its imam, Fethullah Gülen. “Serhan” lives in seclusion outside of the USA and remains a critic of the Movement’s activities taking place around the world. A former follower of Fethullah Gülen, “Mehmet” was brought to the USA as one of the many teachers from Turkey who arrive on H1-B visas. Alarmed by what he experienced teaching at one of the Gülen Movement’s charter schools, he quit the school and went to the FBI, IRS and other government agencies with inside information on group’s questionable behavior. As a result, he was pursued by the Movement and falsely charged for drug trafficking by police in Turkey who are followers of Gülen. Organizer of protests against Fethullah Gülen at the imam’s compound in the Poconos of Pennsylvania, Armagan and several of his friends were tortured by members of the Gülen Movement who were SWAT police officers in Turkey. Now living in New York, he is outraged by the growth of the Movement in his adopted country – and wants people in the USA to understand the dangers of this growing Islamist group. Several interviewees requested that their identities remain anonymous to prevent retribution by the Gülen Movement.